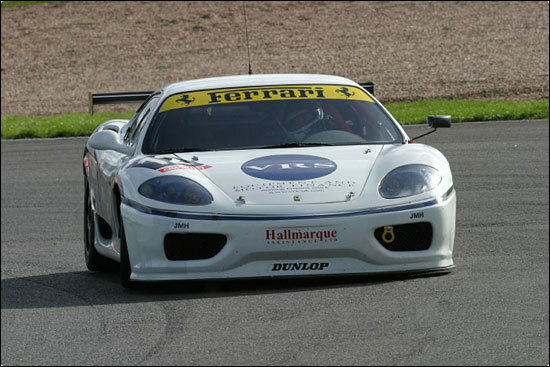 Adam Wilcox and Phil Burton will race a new GT3 Ferrari 430 in the Avon Tyres British GT Championship next year. "The GT3 class will be the premier class in 2007,” suggests Adam Wilcox (it’s not confirmed that there won’t be a GT2 Class Ed.) “and I think with what we have learned over the past year, Phil and I are in a position now to start to take race wins, and who knows maybe even the Championship. "Phil loves Ferrari, we know it's not up there in the FIA GT3 Championship at the moment, but SRO has given it a performance break to close the gap to the front running cars: we are confident the car will be capable of taking us where we want to go, which is to the top of the podium." Adam Wilcox was a British GT Champion in 2004, and he and Phil Burton finished 2006 with some very strong performances. A wave of GT3 entries for 2007 is anticipated. The JMH Ferrari 360 is for sale - here.